A collection of my best stories for various publications, from 1984 to present. “From hot-dog vendors to musicians, Fitzgerald knows how to capture someone’s story. With a strong voice that knows the power of the press, Fitzgerald does what journalists do—tells stories that move readers in all kinds of ways.” –Ted Spiker, professor of journalism at Univ. of Florida, writer of countless magazine articles, co-author of You: The Manual. “Fitzgerald’s is an insider’s view of Northeast Florida’s rich and colorful music scene. His candid, muckraking take on politics, graft, race and one-of-a-kind characters round out this volume. I don’t always agree with Fitzgerald’s conclusions, but I still enjoy the road he travels arriving at them.” –Bob Kealing, award-winning broadcast journalist; author of Calling Me Home: Gram Parsons and the Roots of Country-Rock. “Seems whatever I’m interested in, Fitzgerald has written about it. This is a collection that covers pop culture, militarism, tattoos, music, and just about anything else you’d want to read about. It’s a real weenie roast of a collection.” –William McKeen, professor and chair, Department of Journalism, Boston Univ. ; award-winning author of Mile Marker Zero, Highway 61, Home Grown in Florida and more. “It’s hard to tell what Fitzgerald’s greatest asset is: his encyclopedic knowledge of North Florida’s music scene, his outspoken political views or his dry cynical wit. 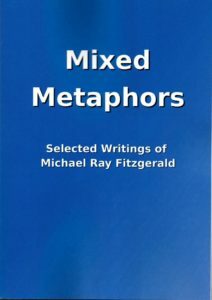 Either way, this collection serves up a deep-fried cast of characters inhabiting stories told as only Fitzgeralds can tell them.” –John Citrone, musician, journalist, playwright and former managing editor of Folio Weekly.